Thanks to Lim Eiling, beloved wife of Luc Timmermans, and also first independent bottler in Malaysia, we in Asia now have a great range of well presented whiskies that’s somewhat closer to our grasp than the usual independent releases in faraway Europe. Amongst these are some fantastic Irish – thanks to our local sample share Facebook group I have a sample of the 27 yo 1989 here and thanks to a certain Maniac I have the 1991. It’s natural head to head. And if you are wondering about source, look me up one day. Nose: The first whiff will tell you this has surpassed many scotch whiskies of the day. Fruity.. no list, but believe these Irish are wonderfully fruity. But here maybe less fruity than greenly vegetal but its still a vitamin laden power smoothie laced with a thin mentholated oil. Quite a eucalyptus/menthol burst actually. Very lightly resinous bark, and the stripped sappy heart of live wood. A bit of earth. Very much like some Littlemills of the same vintage right now, and will be very much up your alley if you like expressive and vivacious whiskies that’s more natural and herbal than sherried or peated. Palate: Comes together fantastically. The fruit is somewhat more expressive here as well, but does it’s part with top marks against the mentholated oil, oxalic acid, rucola, and these lightly earthy bark and compost notes. It’s all there and it’s great. Finish: Long and belongs to the fruit which really lingers here. Fantastic whiskey. Nose: A heavier fatter Irish, smoky oil notes, oiled pan with the heat up. Hot pans and discarded deep fry oil. Rather earthy in a very clean hot ceramic way. The smoke and peat is there but it’s a little subdued, a freshly pulled roots and clean earth peat. White smoke. Get past that and hints of the vegetable and fruit juice push through. Same sort of resinous bark and some traditional medicine. Palate: Again fruit is more apparent here, even against the peat which is no mean feat, and what fruit it is, juicy and bursting. Quite beautiful. Now oily again with this hot pan plus oil combo, and earthy again with these roots and clean earth, so very much as expected. Gets somewhat medicinal, bitter and vegetal. Finish: Long, oily, rooty, earthy but also lingering fruit. Amazing distillate. Very much to my liking. 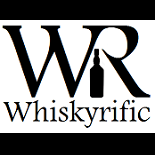 This entry was posted on June 28, 2017 by Whiskyrific in Irish and tagged Irish, Lim Eiling.